On Friday the Fisheries Minister Phil Heatley announced that giant kelp (Macrocystis pyrifera) will be introduced to the Quota Management System (QMS). This decision marks the first step of a process to “manage” the species, which forms extensive forests around much of New Zealand’s coastline. The second step will involve the setting of a Total Allowable Catch limit for the species. I posted a few weeks ago about the scientific arguments against kelp harvesting (“Is it wise to ‘mow’ our kelp forests?”), where kelp specialists Drs Chris Hepburn and Nick Shears gave their responses to the proposal to enter kelp into the QMS. The Ministry will begin a process of stakeholder consultation early next year before setting Total Allowable Catch limits for attached giant kelp in fisheries management areas 3 (East Coast of the South Island) and 4 (extending out to the Chatham Islands). 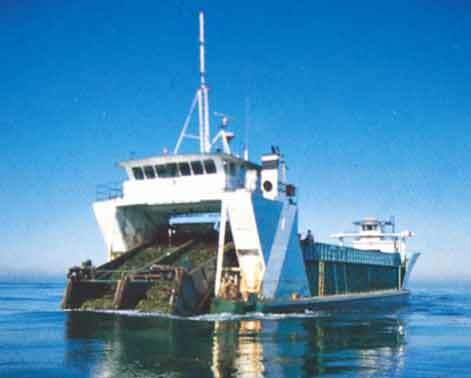 It will be a very interesting process to observe – given the lack of biomass estimates, location-specific growth rates and knowledge about the ability of kelp to recover from canopy removal, it is difficult to imagine just how the Ministry will go about calculating a “sustainable level of harvest”. Sounds like a case of adaptive management, in which companies are given the opportunity to harvest by funding independent monitoring, and being subject to quota changes. Then again, such a lack of business certainty would deter a portion of the investors. It could well be – I guess we might find out more about any adaptive management plan/requirements for scientific monitoring and stock assessment when the Total Allowable Catch is set. It concerns me that at this stage there has been no mention from the Ministry about any plans for scientific assessment of the ‘fishery’, despite the majority of submissions raising concerns about the lack of such baseline knowledge. This was the blog of marine scientist Dr Rebecca McLeod. It has been archived but the posts remain for your reading pleasure.